The Welcome Email is sent to the extension owner’s email address. This will allow them to activate the extension and customize their security settings for logging in. If the user has not activated the extension, you can resend the confirmation email using the AT&T Office@Hand mobile app for Android. To do this, follow the steps below. • Extension Number – This is the Office@Hand User’s extension number. 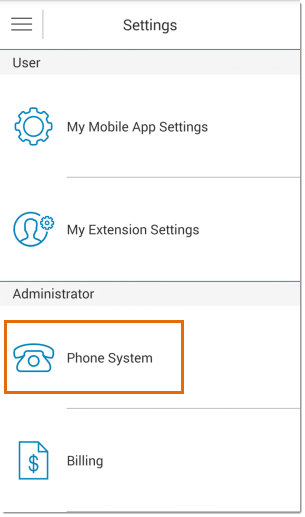 This is the extension number that one dials when calling from a desk phone, mobile app or desktop within the phone system. It is also the extension number announced by the dial-by-name directory. It is recommended to use a 3-digit number as extension numbers. 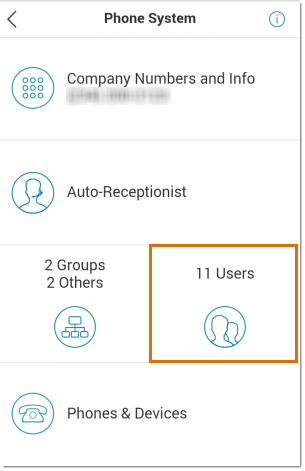 • First Name – This is the first name of the Office@Hand User extension, which is also used as a reference for the Dial-by-Name Directory and Company Contacts feature. • Last Name – This is the last name of the Office@Hand User extension, which is also used as a reference for the Dial-by-Name Directory and Company Contacts feature. • Record User Name – This will allow you to make phonetic changes to the spelling of your extension name so that the text-to-speech feature can pronounce the name correctly. • Contact Phone – This contact information can be used on Fax cover page. • Mobile Phone – The User’s mobile number. This information can be used as the User’s forwarding number. • Email – This is the User’s contact email. This is where the welcome email is sent when activating the extension. This is also where notifications are sent. • Department – Is the Group where the User is assigned to. • User Type – Allows you to switch between Premium and Virtual user. 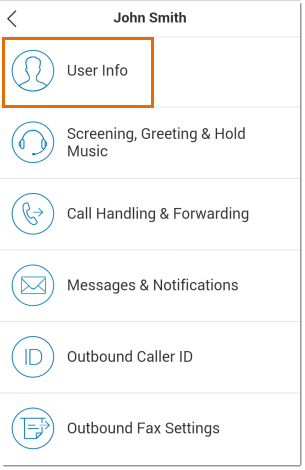 Premium users have access to all features including deskphones. • User Hours – This is where you can customize the hours of operation of your extension. • User Password – You can change the extension’s security settings in the section. This option will only be available if the extension has been activated. 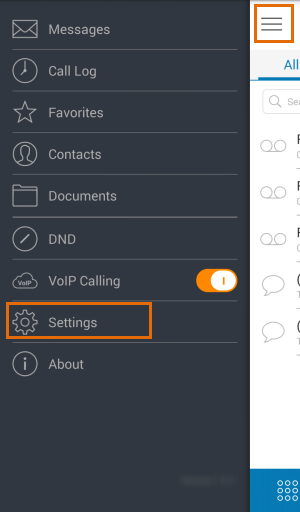 • Regional Settings – You can change the Time Zone, Time Format and Home Country Code settings. • Resend Welcome Email – This option is only available when the extension has not been activated yet. It resends the activation email specified in the Email section.